When my son was born in 2002, I had no idea that being a stay-at-home Mom and a domestic engineer would reveal my knack for writing. It came about as I was a lover of the daily household routine of coffee, quiet time, prayer, reading, computing, cooking, growing things, and even cleaning. When it was time for my son’s afternoon nap, I intentionally carved out some downtime. This was my time of day. The blessing of silence and a strong cup of Community coffee allowed me a little time to think. Before long, I began to write my rambling thoughts down. I had kept a journal for years, but never an electronic one. In my spare time, I attended a creative think tank then started a blog about why we shouldn’t be blogging, in defense of human intimacy. Pretty soon, I started writing about my experience as a wife and a mom and found that my connections with family and friends far and wide strengthened. I had something I never had before….readers. Eventually, my blog morphed into this column, and my readers became…”Dear Reader”. No matter where my travels took me or how long I stayed there, everyone everywhere was always doing this: writing a book. And so was I, only I didn’t know the topic of the book or when it would be published. I just sensed the strange beauty of life’s stories in the tapestry of my seasons and began to record them, weaving them together. This went on for years. I had recently developed a deep sister relationship with a close friend Shannon Jackson who was at the tail end of publishing a book of her own “Coming Through the Waiting Place.” We jokingly remarked that the reason it was taking so long is because God was validating her testimony of waiting. Well, only one of us was actually laughing. Shannon gave me the courage to step out in faith and one Monday morning I never got out of my PJs. Before I ever emerged from my bedroom, I had the manuscripts to five children’s books. When Shannon’s publisher, Christian Faith Publishing, approved the manuscripts the work began. My books seemed to fly through the early part of the publishing process while Shannon, meanwhile, was still waiting. Again, I was the only one who found this comical, but we remained close to each other like two battle buddies in a foxhole. Life took a turn I never expected when Shannon’s family relocated three states away. Not long afterwards, I received the book we had all been “waiting” on. Shannon’s signed copy of “Coming Through the Waiting Place.” As the months passed without me seeing or talking to Shannon every day, I was left with her words, her legacy. My battle buddy had overcome. She had grown up to become a published author that I affectionately thought of as my hero. Her words were covered in the ancient scriptures. I muddled through the illustration process of my five book series and then I no longer found the idea of a waiting place comical. I was still in the trenches when my publisher called and thought it might be a good idea to move the fifth book up to print first. I am so glad I said yes, because I realized how fitting it was to have the true story that inspired them all as my debut work. I can honestly say that my waiting place was one of growth without which the fruits of my labor would not have been as rich. I would encourage any other hopeful writer to keep living life while keeping records of how it unfolds. Find a battle buddy, but don’t forsake solitude. After a while, if you listen closely, the stories will tell themselves back to you. 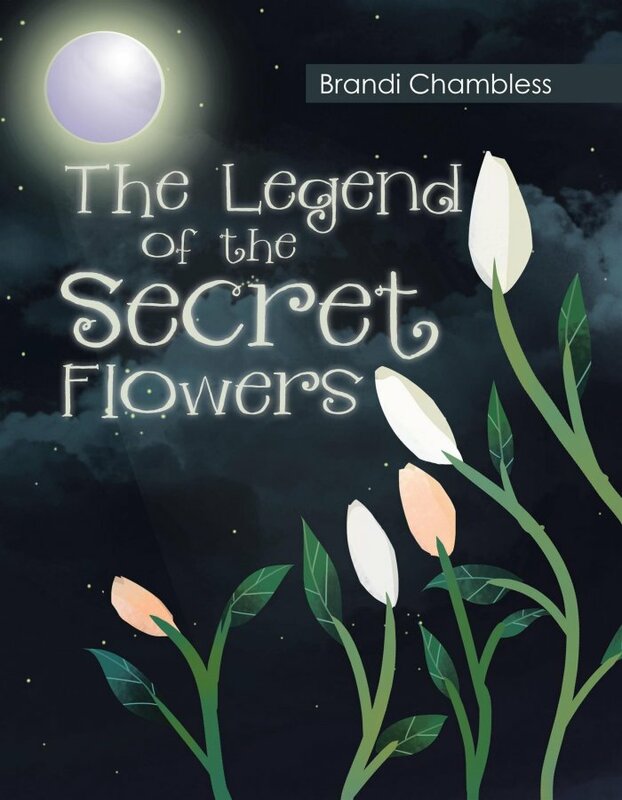 “The Legend of the Secret Flowers” is available at traditional brick & mortar bookstores, or online at Amazon.com, Apple iTunes store, or Barnes and Noble. For inquiries about “The Legend of the Secret Flowers” or to request Brandi for an event, email uglyflowerrocks@gmail.com. Workshops include book readings, writing competitions, and How A Book Becomes A Book and more. Follow @TheSoapboxBrandi to keep up with new follow up releases coming up this year.